Jason is clinic director and co-owner at Trilogy Physiotherapy. He brings years of experience from various sports and orthopaedic clinics in the GTA. Jason graduated with dual Bachelor degrees in Physical & Health Education and Biology from Queen’s University. From there, he completed a Master of Science Physical Therapy degree, also from Queen’s. 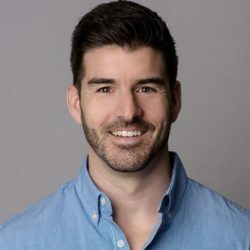 He is licensed and registered with the College of Physiotherapists of Ontario, the Canadian Physiotherapy Association, and the Ontario Physiotherapy Association, with a special interest in orthopaedic and sports medicine. Jason has furthered his skills by completing post-graduate courses in medical acupuncture, integrated dry needling, and manual therapy. He has obtained his Advanced Diploma of Manual and Manipulative Therapy and is a Fellow of the Canadian Academy of Manipulative Physiotherapy (FCAMPT). 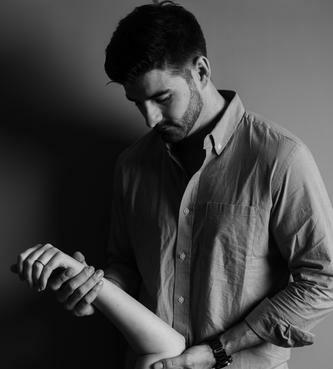 Additionally, he has taken courses in therapeutic taping and myofascial release, is a certified personal trainer, and is a mentor to physiotherapists completing the manual therapy program. Jason uses a combination of manual therapy techniques, acupuncture, prescriptive exercise and patient education to properly assess his patients and meet their specific needs and goals. His personal background and experience with a wide range of sports and orthopaedic injuries allow him to successfully treat a variety of patients ranging from the desk jockey to the serious athlete. Jason splits his time between our Downtown and Bloor West locations.